For additional information on how to volunteer, visit our I want to help page or to Volunteer, please fill out the Volunteer Application. 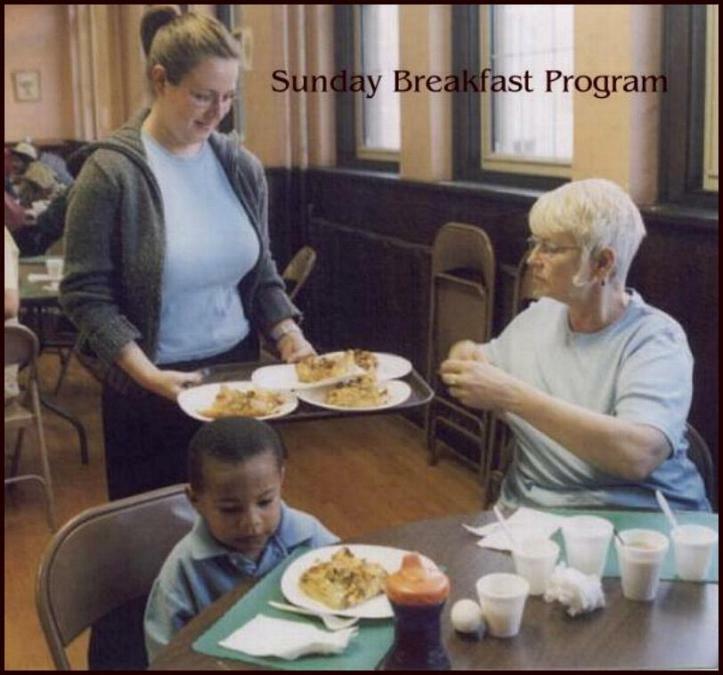 Sunday Breakfast: Every Sunday we serve a breakfast prepared by volunteers the day before to our displaced men, women and families in the community. On average we serve 125 – 150 people each week. This mission is offered 52 weeks of the year, and we welcome volunteers. Mostly served by our sponsoring churches, groups join us on Saturday to prepare the food (eggs are graciously donated by the University of Delaware’s Agricultural program and other ingredients are supplied by the volunteers). Then the group returns Sunday to heat, serve, and join our community in eating. If you are in need of a meal Sunday morning, please join us at 720 N. Orange Street, Wilmington between the hours of 6 am – 8 am. There is no need to RSVP but it is first come, first serve. We do our best to ensure there is enough food for all. 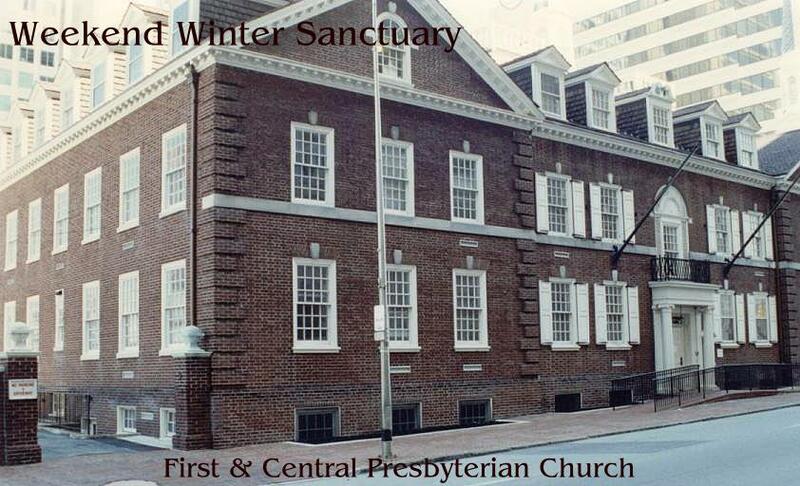 Winter Sanctuary Program: Starting the second Saturday of November, we start our Winter Sanctuary program. Every Saturday, starting the second Saturday of November until the Saturday before Palm Sunday, First and Central Presbyterian Church opens their doors from 6 am – 11 am for our use to host a safe, warm place for those who may not have anywhere else to go. Trinity Episcopal Church opens a space for the same hospitality Sundays from 8:30 am – 11 am. With most day centers and shelters closed, there are few options to protect oneself from the elements. We offer coffee, water, bathrooms, and a warm atmosphere. There is no need to RSVP. Volunteers are also welcome to join us. To Volunteer, please fill out the Volunteer Application. Code Purple: A Code Purple is called in the city of Wilmington or Newark, DE when the temperatures are low enough to be dangerous to those who have no shelter to keep them safe. In Wilmington, we offer soup, peanut butter and jelly sandwiches, coffee and water at St Andrew and Matthew Episcopal Church from 3:30 pm to 8:30 pm. Then the Salvation Army opens their doors to allow people to sleep in a warm, safe place till morning. In Newark, our supporting churches rotate who hosts from 6 pm till 6 am the next morning. Registration to attend a Code Purple is required in Newark by going to the Newark Empowerment Center (69 E. Main St, Newark DE). Registration is not required in Wilmington. See our 2015 Wilmington Code Purple manual for additional details. Video below is of Bill Perkins, Executive Director and CEO of Friendship House during the blizzard that hit the east coast in January 2016. Filmed by Elisaon Associates.